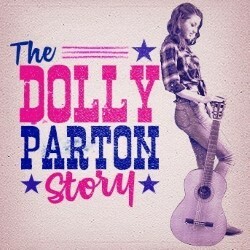 After receiving standing ovations last year, The Dolly Parton Story returns to the Fringe to take you on an incredible journey through the career of the Queen of Country who currently holds an astonishing 153 major awards including 9 Grammys and 11 CMAs. Follow Dolly’s incredible journey in this groundbreaking show-umentary format. Featuring passionate renditions of Jolene, 9 to 5, Islands in the Stream, Here You Come Again, Coat of Many Colours, Joshua and many more. This astonishing back catalogue is realised with authenticity by Hannah Richards and Alex Beharrell. 'Hannah Richards performs beautifully' (ScotsGay).